The theme for the Saturday Seminars at the Cocoa Daisy planner fans group on Facebook in August is refocusing our planning. This first Saturday is going to be all about our reasons to plan. Because it all starts there! To know what we need we need to know why we need it. 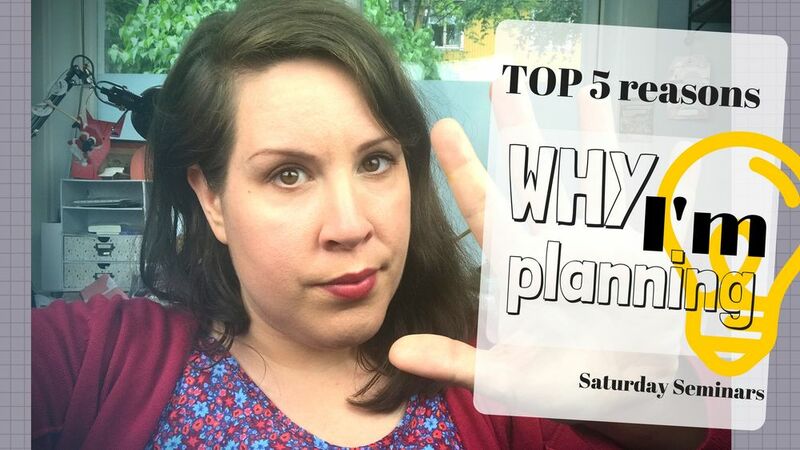 So I thought that I would share my top 5 reasons with you today over at YouTube as well as in the Facebook group, I would love it if you would jump in on the discussion over at the Facebook group as well and share your reasons. The reason I wanted to do this to begin with? Well lets just say that I have been struggling with my planning strategy lately. There has been a new job and the kids are developing and so am I. And when life changes so does my planning style. The following Saturdays will battle our motivation, finding time and an evalutaion of our planning. How do we move forward? What do I need? What should I change? What am I doing at the moment that I will keep on doing? I really really hope you will join me this August! Saturday Seminar - Why plan?